Capital S.M.A.R.T Repairs today announced it was expanding its operations in New Zealand with two new locations, one in Auckland and one in Christchurch. Group Operations Director, Jim Vais, said the expansion for S.M.A.R.T would build upon the strong relationship S.M.A.R.T has with AA Insurance and Vero and would occur in the last quarter of 2016. “The majority of our repairs are conducted on a “Next Day” basis and we are looking forward to bringing our service offering to new locations in New Zealand,“ Mr Vais said. 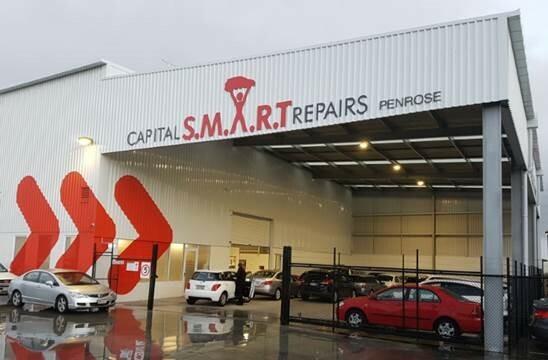 Capital S.M.A.R.T has been operating in Penrose, Auckland since 2014, servicing customers for AA Insurance, a joint venture between the New Zealand Automobile Association and the Suncorp Group. From a single concept site in 2008, Capital S.M.A.R.T currently operates 36 repair sites across Australia and New Zealand.